Lens Description: To meet the growing demand of digital SLR owners, this ultra-wide-angle zoom offers a broader view, fast aperture, and closer focusing down to 11 in. (.28m). 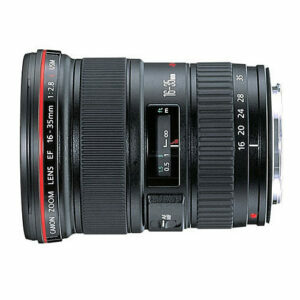 The first EF wide-angle zoom to combine three Aspherical elements and Canon’s UD glass, the lens remains compact while providing superior image quality across its range. Constructed to pro standards, it’s also highly resistant to dust and moisture.